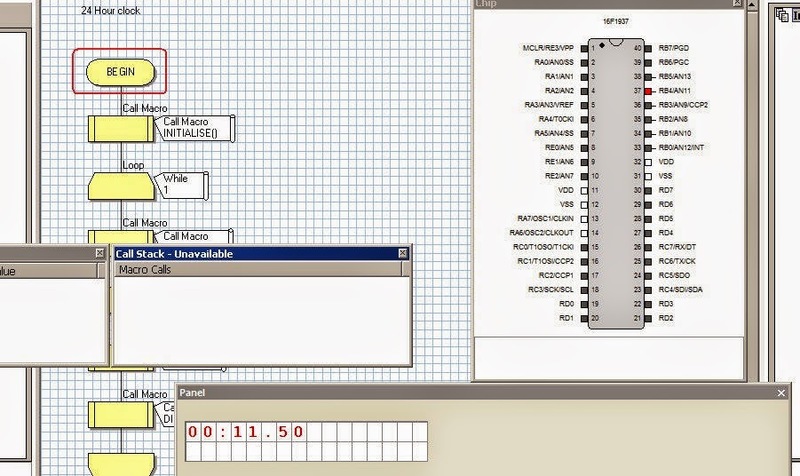 We are using FlowCode Simulation Software for Programming and Testing with PIC16F88 for Simulation of this project .It shows how to use and simulate and program Stepper Motors for use in different projects. Three Stepper are used to depict different configurations in which they can be used .Here functionality of auto off capability is used.It can be programmed to moved back to its original position if required. Stepper motors are programmed to moved in fixed after delay of one second. Micro-controller used is PIC16F88 with switches. In video you will be able to see stepwise execution of program and their effect on Stepper motors in panel which is by default in the software . Hi there, could you please share where could those stepper motors be purchased? For Stepper Motors first you need to decide which application you want to use it in.There are commercial motors you can purchase from some verified dealers.For project having small power( DC Voltage 0-12-24V) you can purchase small Stepper Motors which are available on amazon or ebay for affordable price. Important point is You should know your requirement and then only you can decide on ratings torque or power etc. Thanks JOHN for your appreciation.Would love to hear more from you as our regular Visitor.